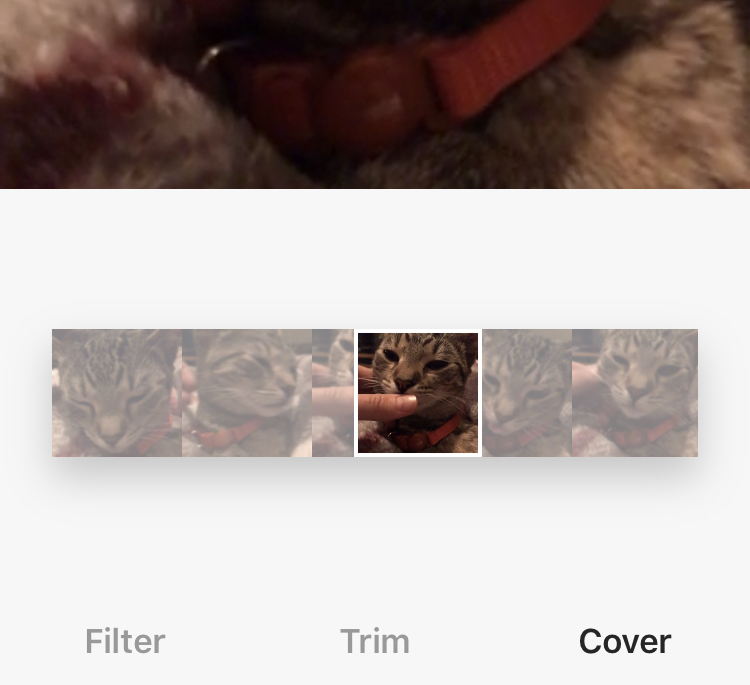 In the Instagram app, you can choose a frame out of your video to be the thumbnail or “cover” frame, or the frame that the user sees when browsing the grid. But if you want to add a custom frame – that is, a cover with text, visual elements, sticker, or an edited version of one of the video’s frames – you will need to append this frame to the video. In this blog post, I’ll show you how to set a custom cover on an Instagram video by merging a cover image with the video clip before publishing. Introduction: What is a cover and why add one? Before watching a video on the explore page or an account feed on Instagram, the browser must tap on the post thumbnail to open the video. A custom cover can make your thumbnail more attractive and unique, bringing more viewers to your content. Like YouTube custom covers, you can add text, callouts, and compelling visual elements to the cover image to represent the video and entice more viewers. 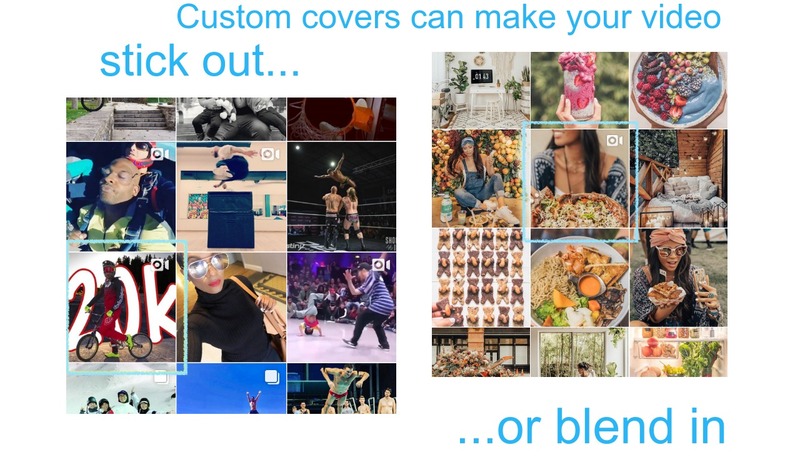 Custom covers can also help Instagramers maintain visual consistency in their feed for informal videos. You can add a beautiful image as your videos cover that’s similar to the aesthetic of your other photos, even if the video itself is lower resolution. Design a frame in Kapwing’s collage maker, Photoshop, or Canva and download as an image (.PNG). Remember to make your cover the same aspect ratio as your Instagram post so that that you don’t cut out good content. On Instagram, the best cover frames include a human face and some interest. Open Kapwing’s free video Maker and click the “Get started” to go to the blank video editor. Then, upload or paste a URL to your video. Your video will load in the preview on the left. In the left side panel, you can select the aspect ratio that you want your output post to be: square (1:1) or 5:4 or 4:5 for Instagram depending on the orientation of your video. Next, upload your cover image to the Kapwing Editor. Drag the image so that it appears above the video clip in the montage. Your video preview will play on the left side; notice that your image appears for a second before your video. From the “Image duration” drop down, change the image duration so that it only appears for .2 seconds, a barely noticeable flash. Once your video montage is finished, click “CREATE” to combine the image and video clip together. The Kapwing Kittens will process your video and return it to you as an MP4. That’s all you need to put a custom thumbnail image on your Instagram videos! I hope this helps media companies, influencers, and brands step up their Instagram game to make videos look more polished and attractive in the feed.